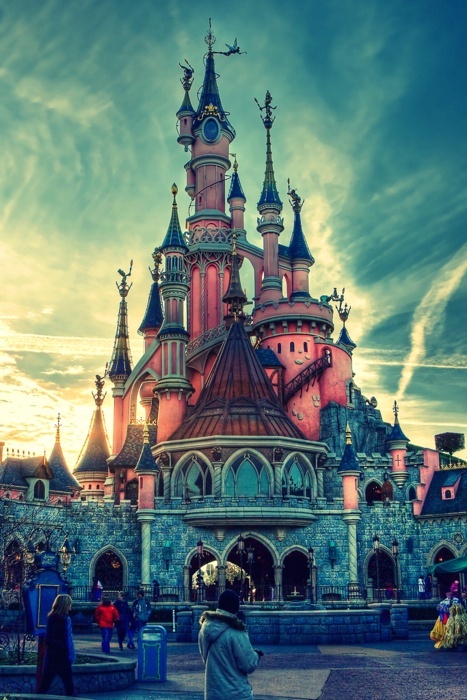 Disneyland Paris, originally Euro Disney Resort, later Euro Disneyland, is an entertainment resort in Marne-la-Vallée, a new town in the eastern suburbs of Paris, France, located 32 km (20 mi) from the center of Paris and mostly lying within the commune of Chessy, Seine-et-Marne. It is operated by Euro Disney S.C.A., a public company of which 39.78% of its stock is held by The Walt Disney Company, 10% by the Saudi Prince Alwaleed and 50.22% by other shareholders. The resort's senior leader is chairman and CEO Philippe Gas. Home to two theme parks, seven hotels, and a shopping, dining and entertainment complex, the resort is the second Disney resort to open outside the United States, following Tokyo Disney Resort, and the first to be owned and operated by Disney. It was the subject of controversy during the periods of negotiation and construction in the late 1980s and early 1990s, when a number of prominent French figures voiced their opposition and protests were held by French labour unions and others. A further setback followed the opening of the resort as park attendance, hotel occupancy and revenues fell below projections. In July 1995, the company saw its first quarterly profit.